At a breakfast for Big Brothers Big Sisters of Delaware, a mother stood up and told the crowd about her son and the impact that his Big Brother was having on her son’s life. Future Big Brother Tony attended the event with a friend and listened to the mother’s story. He was moved by her words. “It touched me, and at that moment, I knew I wanted to become a mentor,” he says. He decided he would volunteer for one year. BBBS of Delaware matched Tony with Little Brother Nasir when Nasir was 7. Nasir had told his mom he wanted something he’d never had before: a brother. He had heard about Big Brothers Big Sisters at school and he knew that with his dad out of the picture, he needed a male role model. Little Brother Nasir’s bravado stopped with basketball. When Tony asked about his grades, Nasir wasn’t so quick to answer. He was getting C’s and D’s. 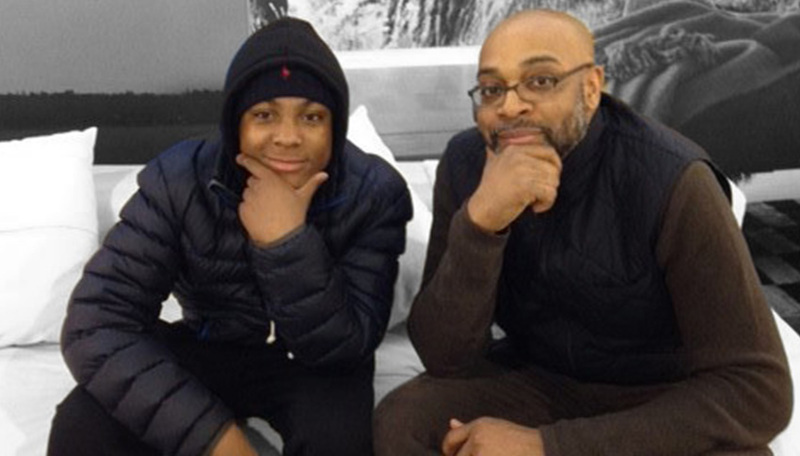 Tony encouraged Nasir to focus on school, and decided to make helping Nasir improve his grades a priority during their match. The “one year” of mentoring that Tony told himself he would be doing flew by and quickly turned into a second year. The two found themselves racing go-karts, attending sporting events, and checking out vintage automobiles at car shows. Tony even taught Nasir how to drive. With encouragement from Tony, who earned two master’s degrees during the time they were matched, Nasir’s C’s and D’s turned into A’s and B’s, and he has made the honor roll every year since middle school. One thing that hasn’t changed is Tony and Nasir’s competitiveness on the basketball court. “I always like to beat him,” Nasir says. Before Tony knew it, he had spent much longer than a year mentoring Nasir. The memorable activities, personal growth, and friendly competition still continue now, 10 years later.